We’re back today to share some of our very favourite crochet patterns, which are available for you to download free. 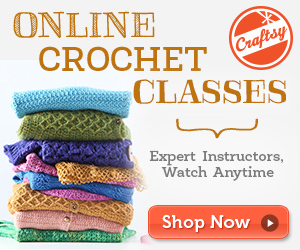 Here are CrochetDivas.com our aim is to bring you the best and most useful crochet tips, how-to videos, tutorials and of course, also patterns to make sure we inspire your projects and you enjoy crocheting. Today we’re sharing a number of gorgeous patterns for baby blankets. But before we dig into these, have you checked out our previous free patterns post? We’ve already shared over 30 awesome crochet patterns for baby hats. The list below includes some of the most gorgeous and beautiful baby blankets you can crochet. Various styles and designs are available below; so if you have a bundle of joy on the way, or know someone who does go ahead and create one of these beauties. These blankets also make the perfect gifts, and are also ideal for donating. We do hope the patterns below inspire your new crochet projects! Let us know, in the comments section, what you create. I like the crochet helps and patterns. Hi can you email me the baby blanket patterns please. © Curve Publishing. Copyright © 2015 - 2017. All Rights Reserved.